My adventures in publishing thus far. 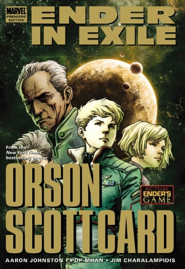 This is the official prequel to Ender’s Game. We know that Ender Wiggin destroyed the alien race known as the Formics during the Third Formic War, but what of the first two Formic wars, when mankind was nearly wiped out? Well, reader, I’m glad you asked. Formic Wars recounts the everyday people (asteroid miners, auditors, peasants, soldiers) who rose up and saved the world. Twice. Silent Strike is the five-issue second arc in the Formic Wars series and concludes the First Formic War. Free miners and special-forces soldiers combine skills and take on the Formics when all of the military’s efforts fail. Is a gutsy, improvised human counterattack, and the chances of success are just above nil. But when the fate of the world hangs in the balance, what other choice do you have? 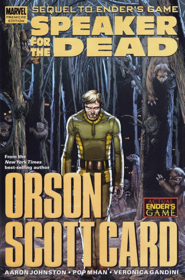 Speaker for the Dead is an incredibly imaginative novel. One of my all-time favorites, well deserving of the Hugo and Nebula Awards. It was a thrill to do this adaptation for Marvel. Speaker is an incredibly complex book, so getting it down to five issues of comic books was a doozy. But I loved every minute of it. 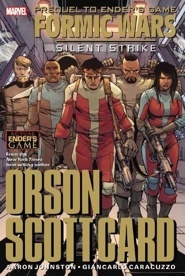 The hardback graphic novel adaptation of Orson Scott Card’s novel of the same name. 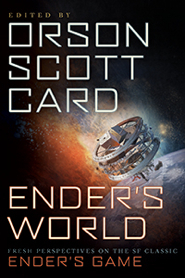 This is the direct sequel to Ender’s Game, so it recounts the events in Ender’s life as he and Valentine travel to their first colony planet and what happens when they get there. Marvel was the publisher, and we had to condense the story down to five issues, which wasn’t easy, but I’m proud of the outcome. Beautiful art by Pop Mahn. The bulk of this book was written by Jake Black. My contribution was an essay about the Ender’s Game movie development entitled: Getting Ender Right: A look at the Ender’s Game Screenplay Development. 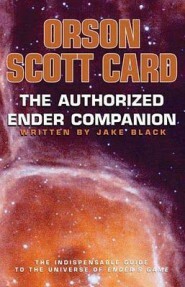 When Ender’s Game was optioned at Warner Brothers, I was working full time for Scott Card’s film-development company. The project went through several different writers, and in the essay I discuss the history of the process. It’s a close look into the Hollywood machine and the challenges of adapting a beloved science-fiction classic like Ender’s Game. 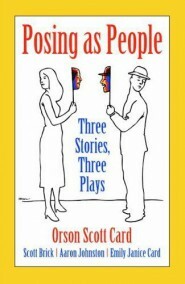 Posing As People is a collection of short plays based on three short stories by Orson Scott Card. 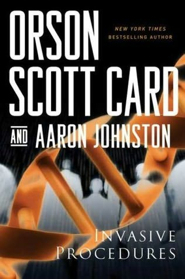 I adapted the short story Lifeloop, which was part of Scott’s Worthing Saga. 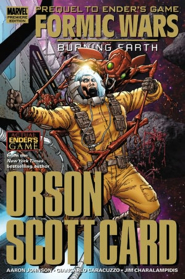 The plays premiered at The Whitefire Theater in Sherman Oaks, California just north of Los Angeles and were directed by Orson Scott Card himself. The cast was amazing, and the play received fabulous reviews. My play, Lifeloop, has subsequently been performed at Western Illinois University. The published book contains all three plays as well as the original stories they’re based upon.